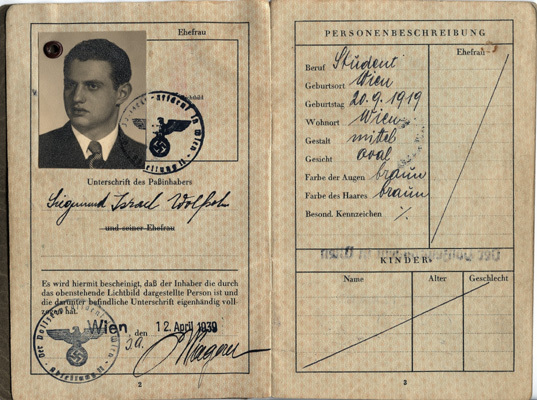 The second and third pages of Siegmund Wolfsohn's German passport. Note that on August 17, 1938, less than a year before Siegmund's passport was issued, the Reich Minister of the Interior decreed that all Jewish men residing in Germany and bearing names not recognizable as "Jewish" had to adopt the middle name "Israel." Jewish women were required to take the middle name "Sarah."